A short break visiting gardens on the Shropshire/Staffordshire borders – Discover Market Drayton, Tourism & Visitor Guide. Wollerton and Dorothy Clive Gardens, Market Drayton makes a great base for a garden-lovers’ short break. Depending upon plant interest, visits to each of these gardens can take between 2 and 4 hours. Leave Market Drayton on the A53 going towards Newcastle under Lyme. At the junction with the A51 turn left towards Woore. The Gardens are about one mile on the right. 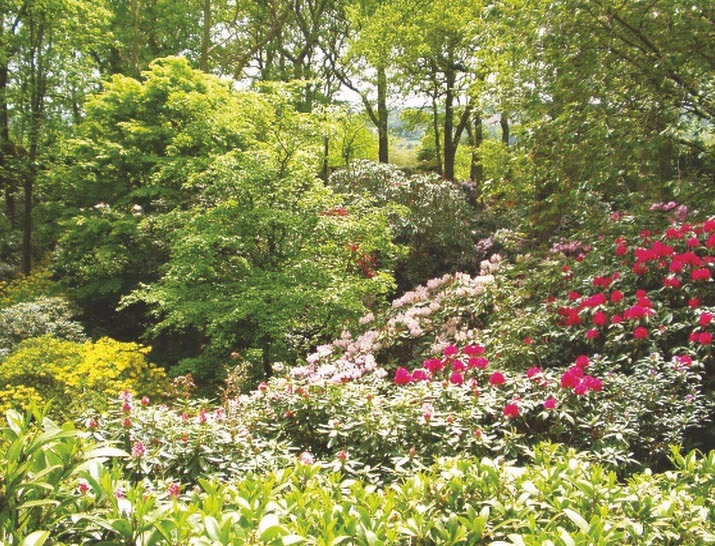 The Dorothy Clive Garden, covering just 12 acres, was established in 1939, by Colonel Harry Clive who Btransformed a disused Victorian quarry into a beautiful and fascinating garden where his ailing wife Dorothy could enjoy her daily walks. Since then the garden has been given to the public and has many attractions including woodland gardens, a waterfall, fabulous alpines and a laburnum arch and rose walk. There is an excellent tea room serving delicious home-made food and cream teas. The gift shop sells local crafts and produce. Facilities are available for disabled visitors. Dogs are admitted on leads. On leaving the Dorothy Clive Gardens, turn right onto the A51 towards Stone. After a few hundred yards turn left onto the A53 towards Newcastle Under Lyme. After 3.7 miles turn right at the roundabout onto the Trentham Road/ A5182. Go straight across the lights onto the B5038. Turn right onto the A34 and follow the signs to Trentham Gardens. As well as a newly developed Italian Garden next to the Rivers of Grass and the adjacent Floral Labyrinth, there is a beautiful walk around the lake with boat rides, train rides and a fabulous playground for children. Described by Alan Titchmarsh as ‘one of the UK’s must-see gardens’. Whether you’re looking for a garden with peace and quiet, or fun and action you will find it at Trentham. Room. Home-cooked hot and cold lunches of excellent quality are available as well as teas and snacks. Please note that unlike the other gardens described in this Guide, dogs are not permitted at Wollerton. Return to the A53 from Wollerton Gardens heading towards Shrewsbury. After about 1 mile turn right towards Hodnet. Go straight across the cross roads in Hodnet. After about half a mile turn left towards Hawkstone Park. 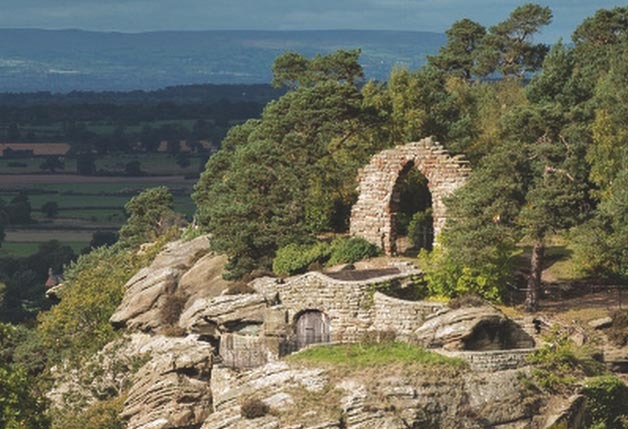 Hawkstone Follies is a historic parkland that covers 100 acres. Created in the 18th Century by Sir Rowland Hill, it became known as one of the greatest historic parklands in Europe. Centred around the Red Castle and the awe-inspiring Grotto Hill, there are intricate pathways, ravines, arches and bridges, towering cliffs and follies with woodland walks that offer a delightful day out.